In this paper, to address the issue that ensembling k-nearest neighbor (kNN) classifiers with resampling approaches cannot generate component classifiers with a large diversity, we consider ensembling kNN through a multimodal perturbation-based method. Since kNN is sensitive to the input attributes, we propose a weighted heterogeneous distance Metric (WHDM). By using a WHDM and evidence theory, a progressive kNN classifier is developed. Based on a progressive kNN, the random subspace method, attribute reduction, and Bagging, a novel algorithm termed RRSB (reduced random subspace-based Bagging) is proposed for construct ensemble classifier, which can increase the diversity of component classifiers without damaging the accuracy of the component classifiers. 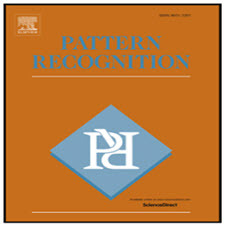 In detail, RRSB adopts the perturbation on the learningparameter with a weighted heterogeneous distance metric, the perturbation on the input space with random subspace and attribute reduction, the perturbation on the training data with Bagging, and the perturbation on the output target of k neighbors with evidence theory. In the experimental stage,the value of k, the different perturbations on RRSB and the ensemble size are analyzed. In addition,RRSB is compared with other multimodal perturbation-based ensemble algorithms on multiple UCI data sets and a KDD data set. The results from the experiments demonstrate the effectiveness of RRSB for kNN ensembling. در این مقاله با توجه به مسئله ای که طبقه بندی های k-nearest همسایه (kNN) با استفاده از رویکرد resampling می تواند طبقه بندی های مولد را با تنوع زیادی ایجاد نمی کند، ما kNN را از طریق روش متضاد متقابل به کار می بریم. از آنجا که kNN به ویژگی های ورودی حساس است، ما یک Metric (WHDM) با فاصله ناهمگن وزنی پیشنهاد می کنیم. با استفاده از WHDM و تئوری شواهد، طبقه بندی پیشرفته kNN توسعه یافته است. بر اساس یک kNN پیشرفته، روش زیرمجموعه تصادفی، کاهش ویژگی و Bagging، یک الگوریتم جدید RRSB (کاهش بسته بندی تصادفی بر مبنای تصادفی بر اساس طبقه بندی سازنده) پیشنهاد شده است که می تواند تنوع طبقه بندی های سازنده را بدون آسیب رساندن به دقت طبقه بندی اجزاء. به طور دقیق، RRSB اختلال در پارامتر یادگیری را با ماتریس فاصله ناهمگن وزن، اختلال در فضای ورودی با فضای تصادفی و کاهش ویژگی، اختلال در داده های آموزشی با Bagging و اختلال در هدف خروجی k همسایگان با تئوری شواهد در مرحله آزمایشی، مقدار k، اختلالات مختلف بر روی RRSB و اندازه ی گروه تحلیل می شود. علاوه بر این، RRSB با دیگر الگوریتم های ترکیبی مبتنی بر وقفه های چندجمله ای در مجموعه داده های چندگانه UCI و مجموعه داده KDD مقایسه می شود. نتایج آزمایشات اثربخشی RRSB را برای مجموعه kNN نشان می دهد.